Taylored Expressions Stamp of the Month! Hello! 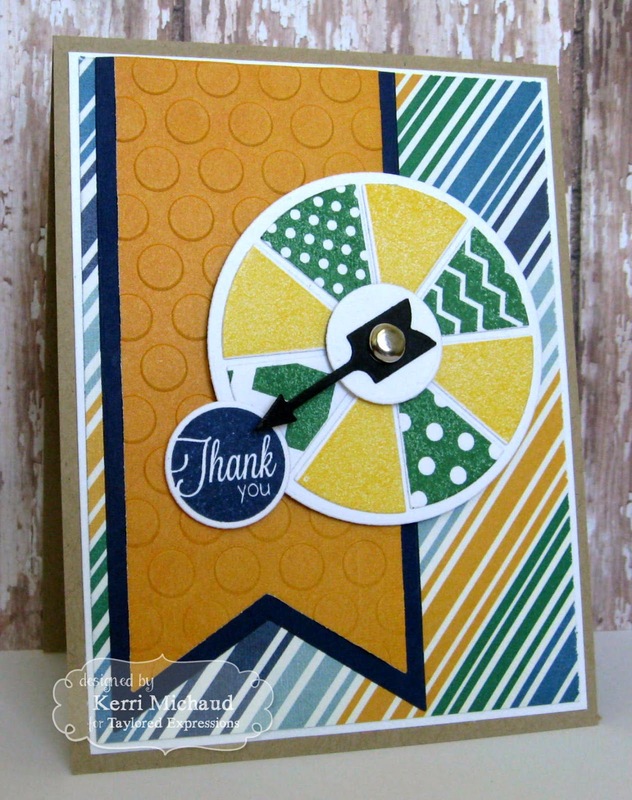 I have another card to share today using the Taylored Expressions March Stamp of the Month called Take a Spin! I am loving this set!!! I stamped the image with green ink and then some yellow ink. I cut both of them out using the coordinating Spin It to Win It Dies and pieced them to make my green and yellow spinner. 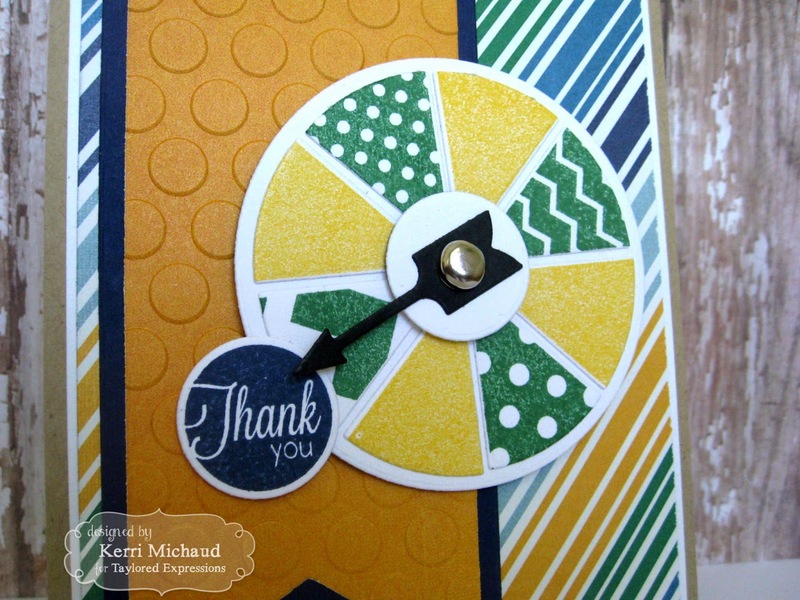 I added the Thank You circular sentiment and the arrow that were also cut with the Spin It to Win It Dies. The fishtail was cut with the TE Banner Stacklets 1 Dies and I added some texture with the CB Seeing Spots EF. The dp I used is Simple Stories A Charmed Life. Thanks for stopping by today and have a wonderful Wednesday!